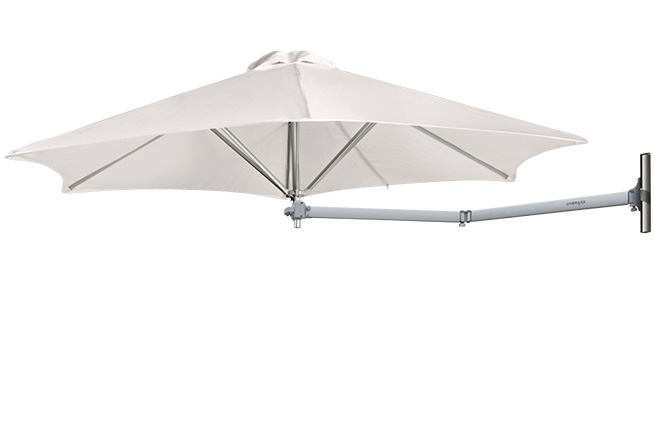 Sensible and stylish, our Paraflex wall mounted umbrella is the ideal shade solution for tight spaces. 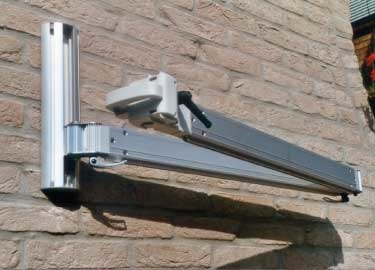 Simply attach the Paraflex wall mounted sun umbrella to a post, wall or building then use the clever simple click bracket for effortless operation and quick removal. 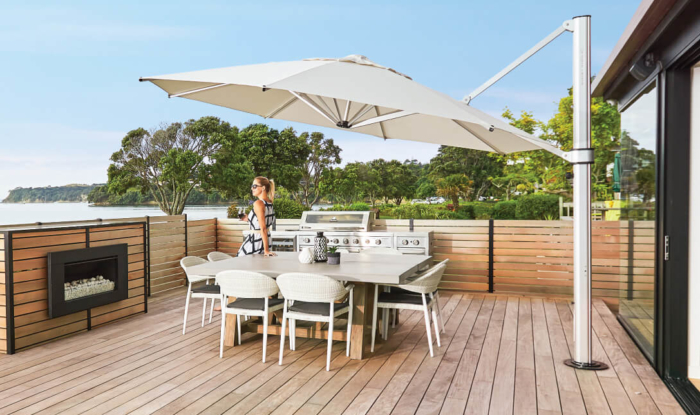 Whether for a small balcony or outdoor patio, the Paraflex ideal to provide shade in sheltered, low wind spaces where a conventional umbrella is simply impractical. 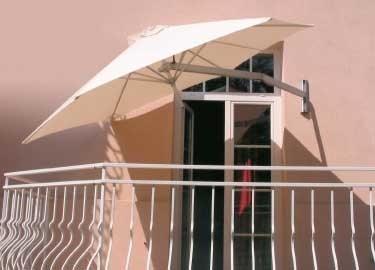 As your wall mounted Paraflex sun umbrella can be tilted and freely moved, it can easily be moved and adjusted to provide you with sun shade throughout the day. 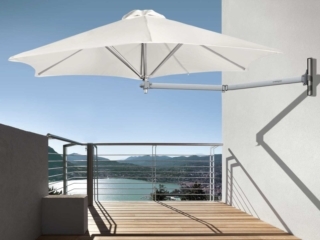 The umbrella frame and components come with a 2 year back to base warranty. 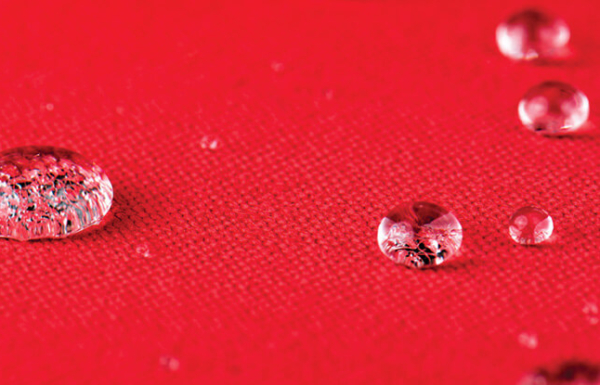 Our premium 100% Olefin fabric comes with a 2 year warranty against colour fading and rot. 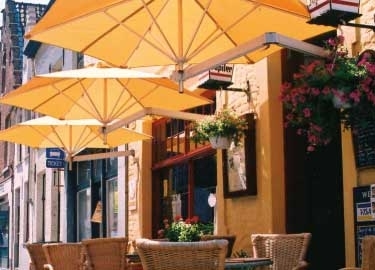 Designed and manufactured in Belgium, the Paraflex uses the finest marine-grade aluminium and stainless steel materials to ensure strength and durability. 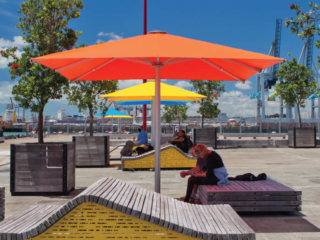 The Paraflex Sun Umbrella is available in a range of standard or non-standard colours. CLICK THE COLOURS BELOW. 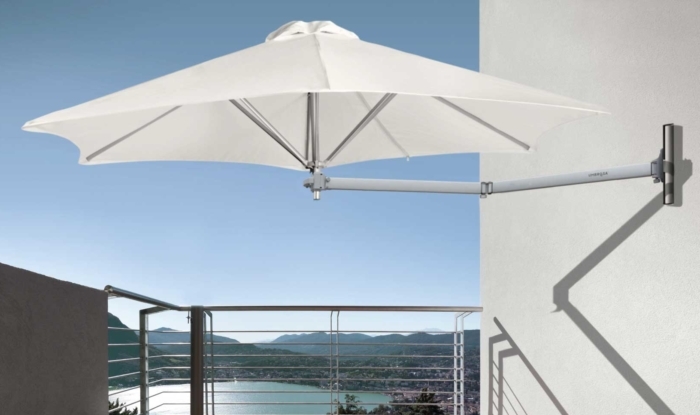 The Paraflex wall mounted umbrella comes standard with high quality Olefin fabric which comes with a 2 year warranty against fade and material breakdown. 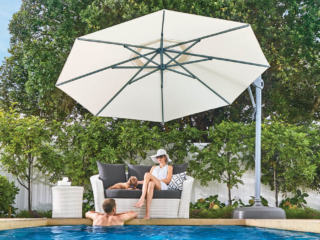 The Olefin canopy cuts out 97% UV resistant (SPF40) and is washable. 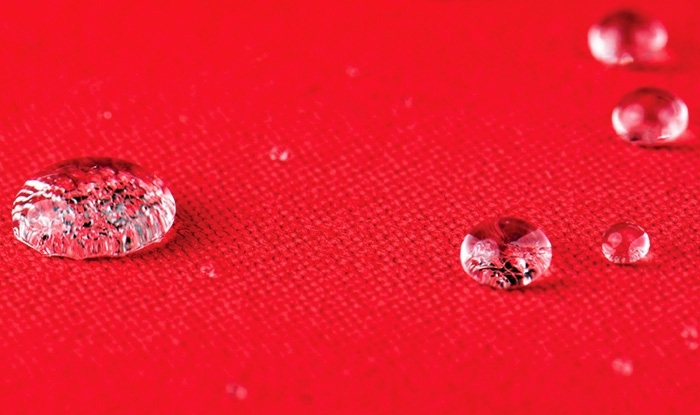 You can upgrade your fabric to a non-standard colour which uses an European made premium solution-dyed acrylic canvas with a 7 year residential warranty. 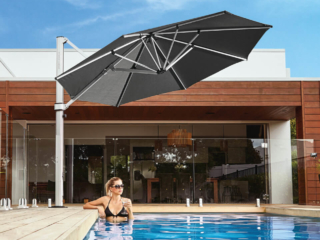 Your Paraflex sun umbrella comes with a folding arm system and a wall bracket. 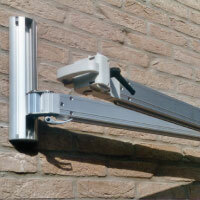 You simply need to fix the wall bracket to your wall surface using a suitable fixing. 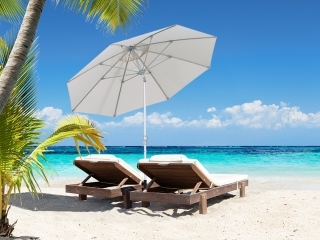 The bracket can be fixed to brick, concrete block, weatherboards, wooden beams or most other structures. The Paraflex can be custom made with upgraded 5 year warranty acrylic canvas fabric with a wide range of colours to choose from. 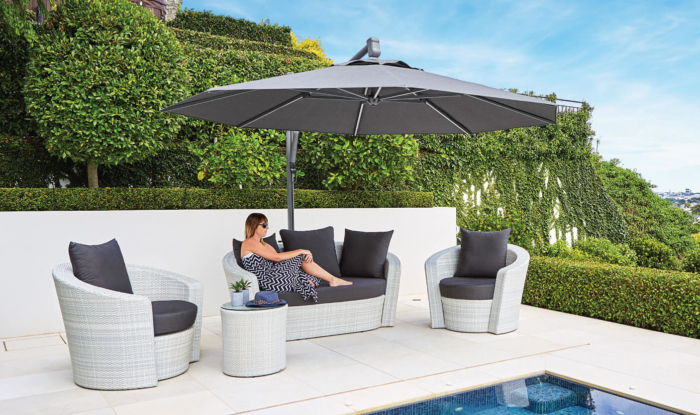 We decided on an umbrella from Shade7 after checking on the range of competing products and companies available in New Zealand. Only Shade7 offered the choice of products, styles and colours that suited us. 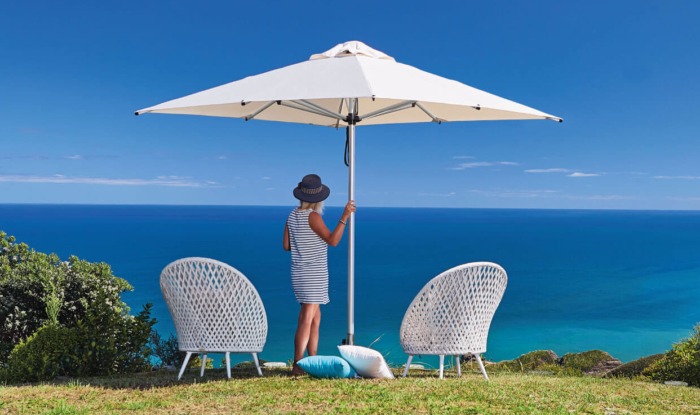 Please download the brochure for more information about our Paraflex Sun Umbrella range. 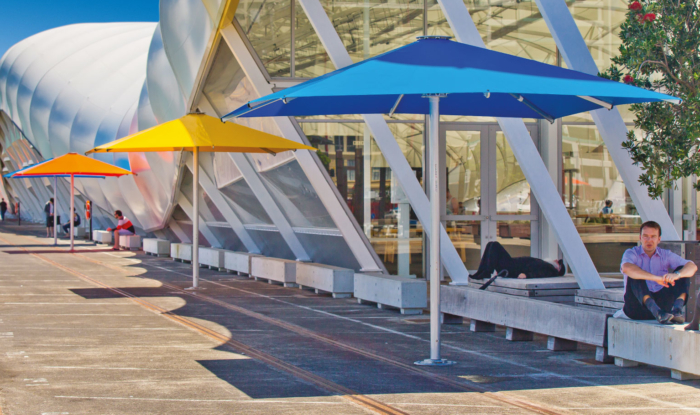 The Paraflex Sun Umbrella range can be a versatile and creative shade solution for commercial outdoor areas. 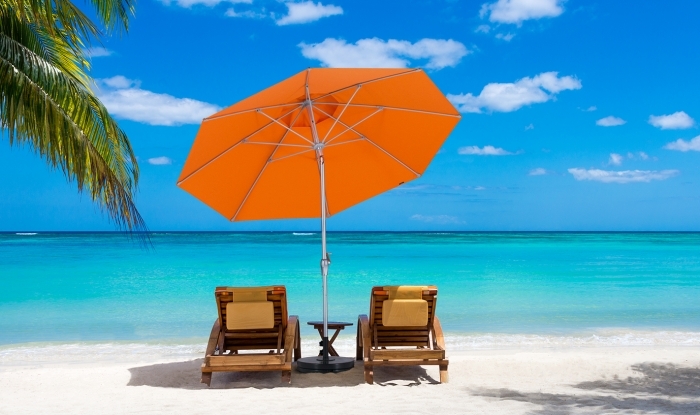 Without the poles and the bases you keep the area open and free of clutter. 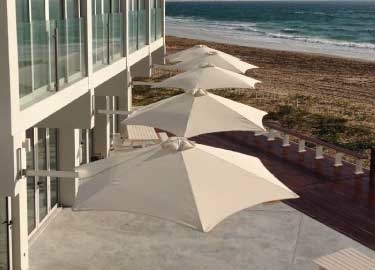 The umbrellas can be easily adjusted and tilted to provide the required shade for your guests. 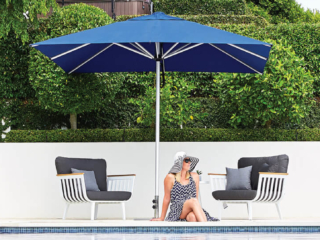 When grouped together in larger numbers the umbrellas can provide a beautiful mosaic appearance.